When it’s hot in August in Bologna I think gelato. 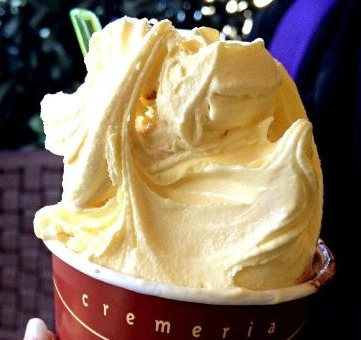 So what better way to cool down than to try all the best gelaterie in the city. It’s a hard job but someone has to do it. Now if you really want to become an expert, Bologna has a Gelato University started by Carpigiani (an ice cream/gelato machine factory). That’s right homework could be eating gelato. The school is outside the city of Bologna in Anzola Dell ‘Emilia and offers a four week course on how to make gelato with hands on practice. Students come from around the world to learn the secret of great gelato making. If you are looking for another ways to eat gelato here is a recipe for gelato pie, a way to serve gelato at home after a summer meal alfresco.